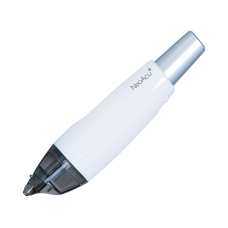 Produced in South Korean, the NeoAcu® Acupuncture Assistant is a purpose made Acupuncture Needle insertion device. 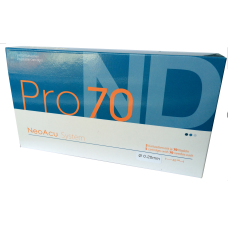 The NeoAcu® Acupuncture Assistant is perfect for the professional Acupuncturist, allowing you to efficiently and accurately insert needles while minimising insertion pain. With significantly reduced packaging, you will spend less time on needle blister packs and more time with your patient. 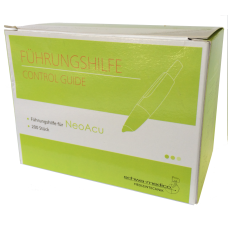 As NeoAcu has 60~70 disposable sterilized needles per cartridge, doesn’t need any preparation in ..
NeoAcu Control Guides are designed to be used with the NeoAcu Applicator pen and slot into the top o..
NeoAcu Pro70 Cartridges are available in 6 Gauge & Length combinations and are designed to work ..